Dodging potentially embarrassing delays, Israel cuts red-tape blocking US embassy move, paving way for grand opening in May. 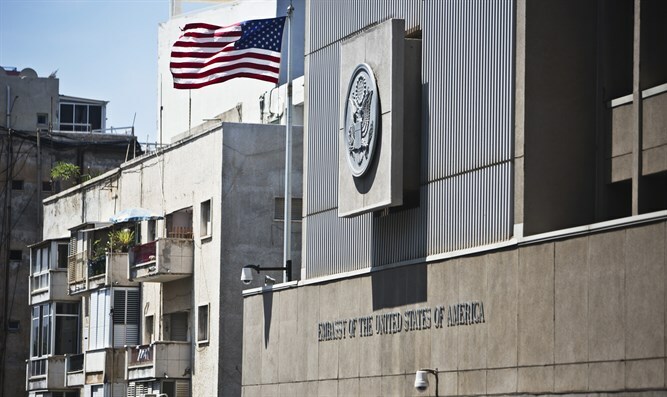 Israel’s National Planning and Building Committee has recommended that the US consulate compound in the Arnona neighborhood of Jerusalem be granted a special exemption, permitting the US to upgrade the facility into an embassy in time for the planned May 14th relocation deadline. The decision comes a week after Israeli and US State Department officials expressed concern that Israeli bureaucracy and local zoning regulations could seriously delay the planned relocation of the American embassy from Tel Aviv to Jerusalem. Prime Minister Binyamin Netanyahu has urged authorities to remove all bureaucratic obstacles holding up the embassy move, with Finance Minister Kahlon requesting that the National Planning and Building Committee back a special waiver for the US facility. On Tuesday, the committee announced that it would back Kahlon’s request and officially recommend the minister issue the waiver. Kahlon praised the committee’s decision, saying that the move showed Israel would not allow bureaucratic red-tape to hamper the relocation.